How ya doing!?! It's Wednesday, and As I stated in my last post, I LOVE my mani sooo much that I don't have the power to take it down yet. Lol..
As most of you might know by now, the Month of May was my Indie Polish Buying Month!!! Let's begin with the polishes packaged oh so nicely above. They are Girly Bits. Girly Bits: Purple Potion, Hippity Hop (X2), Vive La Revolution, Promise Me, Mother May I. Next Is 365 Days of Color. 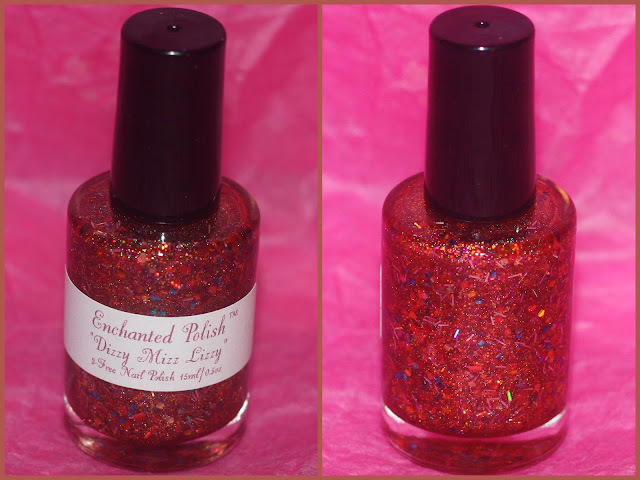 Click Here to see my swatch of Hole Hearted. Next we have my first and Only Enchanted Polish. Bought on Llarowe. Next we have Spooky Bones Polishes. Sent for review. Look at for the review of these ones. Next are polishes you've seen on the blog before. Click Here to read my review and see swatches of all of these. 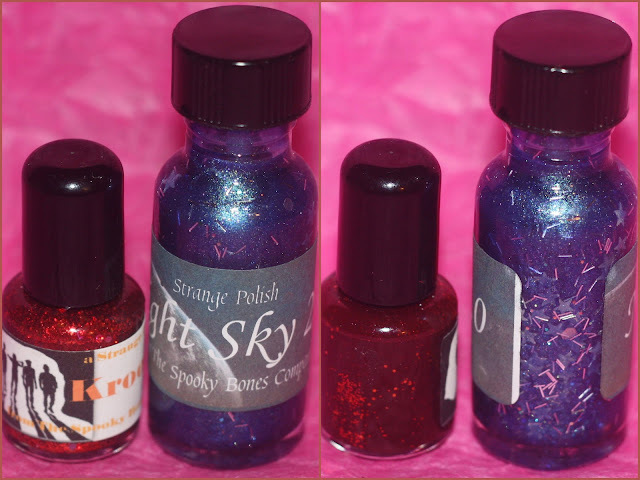 Next are the AWESOME Polishes my Friend Nat over at No Holo Blog Sent me. And My Four previous Indies. If I know the count, I might be tempted not to own any more. Wow, there are so amazing looks shades in there! That's what I love about indie polishes, they can be so unique! Thanks for sharing your amazing haul! Indies are the best. You got some nice ones. Awesome collection!! And June is Holo month? Dude, I'm so all over that! I've been looking for a good excuse to get another Layla. Love this! I've recently been on an indie buying frenzy, but I have no idea how many I have right now or how many are on the way, lol. I have yet to own one indie, but these are pretty. Love holos, so excited for your next collection to come through! Whoa! I just got my first indie polish in the mail which was a gift from a friend. I bet you are over there in polish heaven with all of those beauties, haha! omg, no..i just remembered, this is my 2nd. my first was sent to me for a review by the lovely Jody of SoFlaJo.. *facepalm* i feel terrible for forgetting that..
You have too many, you should send me some... XD Just kidding!